Hammerhead Wargames Show 2017- bigger and better than ever! 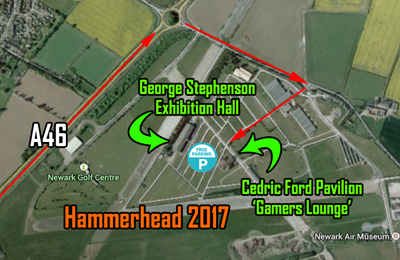 Hammerhead 2017 is expanding - to include the NEW ‘Gamers Lounge’ as well as the George Stephenson Exhibition Hall! 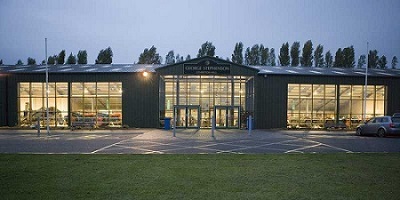 Hammerhead 2017 will be taking place on Saturday 4th March at theNewark Showground, Newark, from 10am until 4.30pm. The Hammerhead 2017 miniature, is a WW1 Austrian general and will be available for the first time on the day of the show for the token price of £1.00 GBP, or FREE if you purchase your Hammerhead Entry ticket online prior to the show. See website for details. Hammerhead 2017 is being run by Kallistra Ltd with assistance from the The Forest Outlaws Wargamers Club and GCN. Supported by Miniature Wargames, Wargames Illustrated and Wargames Soldiers and Strategy magazines. 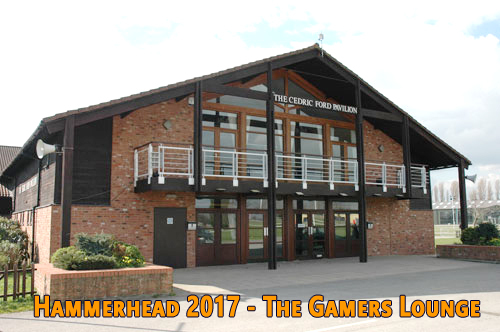 2 weeks to go to Hammerhead 2017 - Saturday 4th March at Newark Showground – The Gamers Lounge and the George Stephenson Exhibition Hall, Newark. 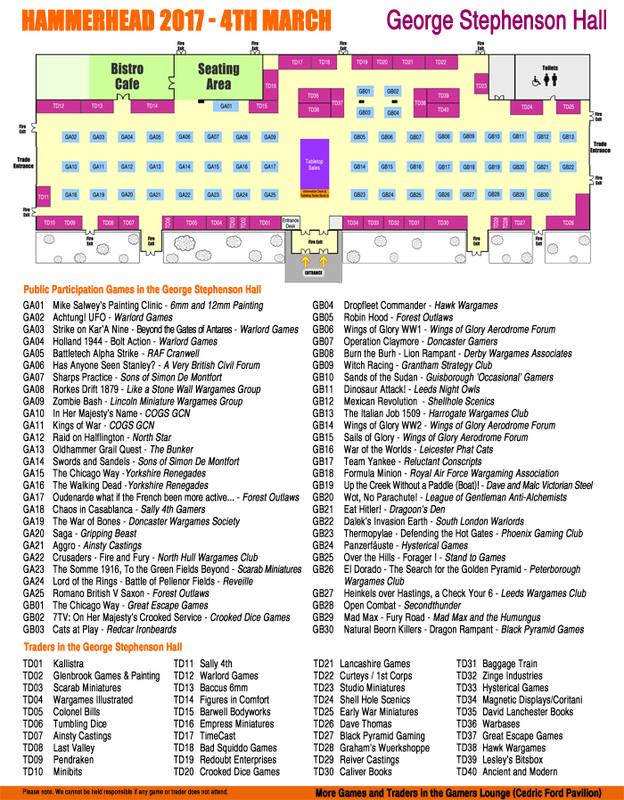 There are 70 great visitor participation games, historical, fantasy and sci-fi,booked in, plus 56 top traders/manufacturers selling a wide variety of wargaming wares, miniatures, terrain and scenery, books and gaming accessories. 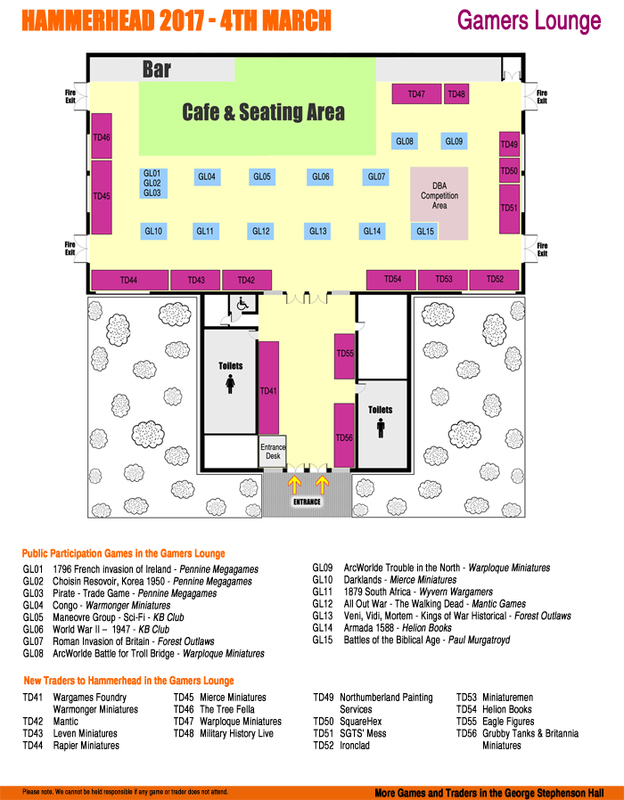 If you would like to book a tabletop sales table, there are only a few tables remaining, first-come, first-served! There's still time to buy your online entry ticket and collect your free Hammerhead miniature on the day!